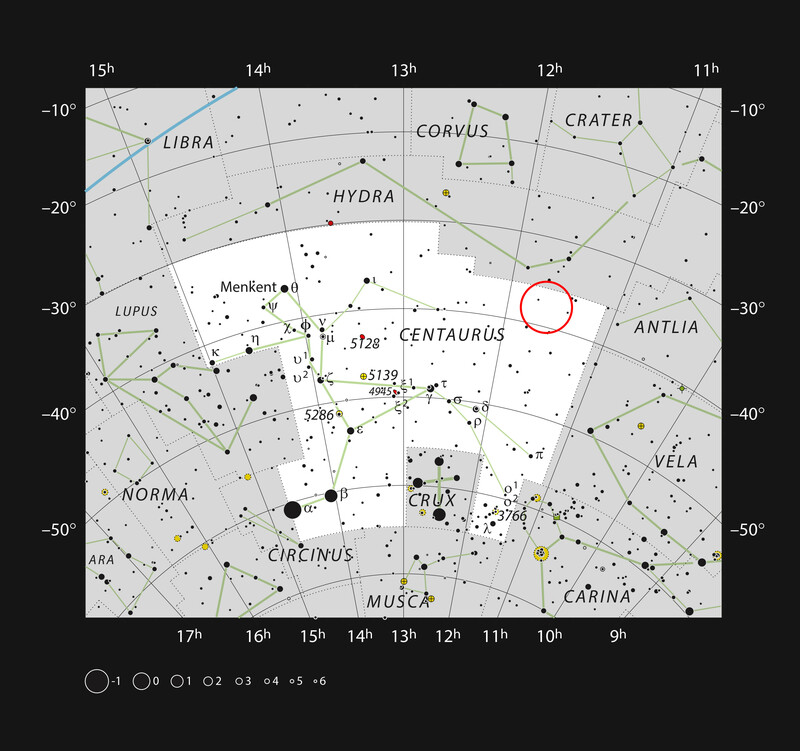 This chart shows the constellation of Centaurus (The Centaur). Most of the stars that can be seen in a dark sky with the unaided eye are marked. The location of the galaxy NGC 3783 is indicated.